San Francisco, CA, April 30, 2018— VIZ Media, LLC (VIZ Media), a premier company in the fields of publishing, animation distribution, and global entertainment licensing, dives into the legend, lore, and origins of the bestselling strategy card game, Magic: The Gathering, with the acquisition of MAGIC: THE GATHERING—CONCEPTS AND LEGENDS. Written by bestselling author and Magic: The Gathering Senior Game Designer James Wyatt, the slipcased, hardcover volume is slated for release in print this Fall and offers a detailed examination of the planes, mythos and in-world history ofMagic: The Gathering. Dive deep into the archives of Magic: The Gathering with an inside look at the origins of the characters, planes, creatures and lore of the world's most popular trading card game. 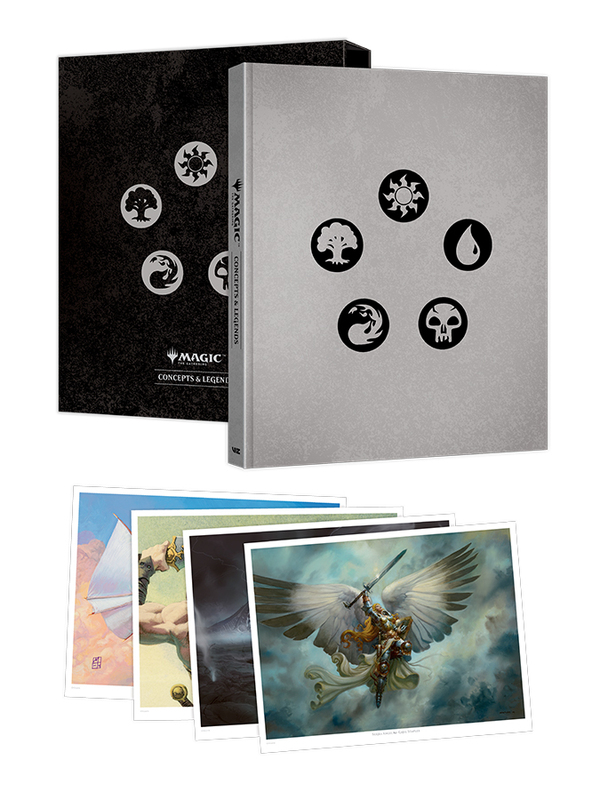 Celebrating the 25thanniversary of Magic: The Gathering, this beautiful collector's hardcover book features artwork, sketches and commentary showcasing the expansive world that has captivated generations. The book also includes four double-sided collectible art prints.